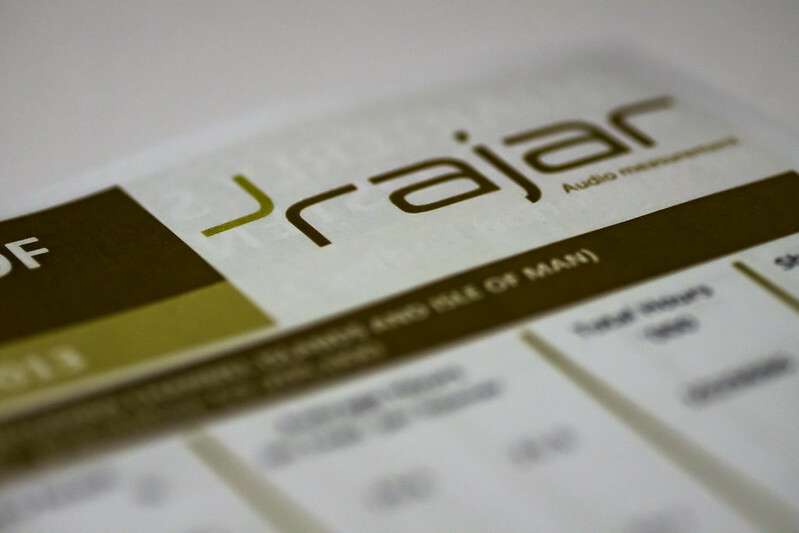 If it’s early February, it means it’s time for another RAJAR release. So what are the big stories? Well I reckon they Radio 2, Radio 1 and commercial radio in general in London are the main themes. But let’s go through things in a bit more detail. The first thing to note is that the BBC has had a decent set of results this quarter, with more people listening to BBC radio, and they’re listening longer. The time spent listening comes at the expense of commercial radio though, and the gap between BBC and commercial radio has opened a bit more with 55.2% of listening being to the BBC and 42.1% being to commercial radio (compared with 53.4% and 43.9% last quarter). There’s also a distinct issue in London, but we’ll come back to that. So where have these BBC gains come? Basically: Radio 1 and Radio 2. Both saw significant jumps in listening hours, while Radio 2 also saw a sizeable increase in reach. In fact, Radio 2 managed to gain yet another all-time record reach with over 15.5m listeners each week. Both Radio 4 and Five Live saw good increases quarter on quarter, while Radio 3 slipped back in the period after the Proms. 6 Music had another storming quarter, and it’s now just behind Radio 3 in terms of reach – just 30,000 behind. You’d think that it may well get over 2m listeners by next quarter, especially considering all the digital devices including tablets and DAB radios that get given and bought over Christmas. The Asian Network also achieved record listening figures. So much for that brief attempt to close them down with their sister digital station a few years ago! Radio 4 Extra saw its reach increase, but its hours fell back a bit, while Five Live Sports Extra fell back substantially after last quarter when a summer Ashes tour saw it boost its audience considerably. Two Australian Tests did fall into this RAJAR period, but England’s woeful performance allied with the through-the-night timing probably meant that cricket had much less impact on the station overall. The Absolute Radio network of services saw its second highest ever reach with over 3.5m listeners, although listening fell back a bit. Within that, there was a particularly good result for Absolute Radio 90s which achieved its highest ever reach and hours, while Absolute 80s maintained its position as the biggest commercial digital-only station. Classic FM saw both reach and hours increase by 6%, while Talksport saw a nice bump in reach to 3.2m, while it’s hours dropped back to 20.2m. The Capital Network fell a couple of percent in reach and hours, while the Heart Network dropped a little more. Kiss was broadly flat in reach nationally, but up in listening hours, while sister brands had mixed results. Kisstory’s second quarter saw it climb to just below 1m reach, but Kiss Fresh fell back post its Smash Hits transition to just under 400,000. This was the first quarter that saw a Capital Xtra figure with 854,000 reach – a little above last quarter’s national Choice figure of 839,000. I’m sure Global would say that it’s early days yet. Interestingly, Global has recently announced that Smooth will be coming off Digital One – the national commercial multiplex. It will be replaced by an as yet unnamed service that will play music from “the 70s, 80s and early 90s.” While my initial thought was that they might label this brand extension “Heart Xtra,” I tend to now think that we can await the launch of “Heart Club Classics.” If that’s the case, then expect it to bolster Heart’s overall brand figures, and to compete with both Absolute 80s and Kisstory. But at this point, this is all supposition. We shall have to wait and see. There are a few interesting national breakfast stories. And the biggest has to be that of Chris Evans. In line with the station’s massive audience increase, Evans has seen a record audience for him and that timeslot. With 9.8m listeners, he has nearly two thirds of Radio 2’s audience listening to his show. Ouch. And Radio 1 will be pleased. Not just with their overall picture, but with Nick “Grimmy” Grimshaw (not being a listener, I always find it hard to just call him Grimmy. But perhaps that’s because I’m too old!). He’s seen his audience increase to nearly the level he had in his first quarter following the departure of Moyles. First quarters always gets lots of marketing and hence trial. Now Grimmy is more established, and he seems to be growing the audience on his own. Meanwhile Christian O’Connell at Absolute Radio has seen his second highest audience over the various Absolute Radio network services that he’s broadcast across. Interestingly, both Smooth 70s and Capital Xtra have reported this quarter despite one replacing the other on national radio “dials” (In London Capital Xtra replaced Choice FM). Smooth 70s actually closed on 6 October, but because it’s weighting is over 6 months, there was enough data to provide a final figure. And because Capital Xtra replaced Choice, which had been able to report nationally, this means that you end up with both stations reporting. In London it has all been a bit topsy turvy, and the key issue is a significant decline in commercial radio this quarter. One quarter does not imply a trend, and I’d be wary of rushing to judgement too fast, but the BBC has overtake commercial radio in the capital, and it’s had some significant effects across the board. Over in Leicester Square, Global will be happy to claim the number one [commercial] spot in London for Capital. Although its performance has been pretty flat with a very marginal decrease in reach and marginal increase in hours (both less than 1%), that’s enough to maintain its reach advantage while gain the listening hours title as well. That’s mainly because the other commercial London competitors have all fallen away – seemingly to the BBC. Kiss has lost reach and hours; Magic has lost reach and significant hours; and Heart is having a terrible time. Heart London has fallen again, to its lowest reach since Q4 2000, and its lowest ever hours under this measurement methodology. And this was in a quarter when there was Heart marketing with the Olly Murs creative. Absolute Radio also saw a significant drop in London, as did LBC. Even Xfm saw a drop – perhaps struggling against 6 Music. Only the comparatively smaller Smooth and Gold saw decent London results. Overall, that means that the BBC overtook commercial radio in London. That’s actually a fairly rare event. While it’s been the case that nationally the BBC is bigger than commercial radio since time immemorial – or at least since I’ve worked in commercial radio – it’s been much less true in London. What does this really mean? Well, as I always say with RAJAR, ignore a one-off result, and look at the trends. They don’t lie. In this instance, I think a one-off crash in commercial radio is likely to be just that. Let’s just wait to see what happens next time. The big winner here is Chris Evans as already noted, with the likes of Christian O’Connell and Nick Grimshaw also doing well. In London, Dave and Lisa continue to rule the roost in commercial terms, while Neil Fox at Magic and the breakfast crew at Kiss also did well. And although it’s not breakfast, and it doesn’t really fit in elsewhere, I’m just very pleased to report that Frank Skinner got his biggest ever audience this quarter, with 654,000 listeners. After the odd little dip last quarter, digital listening has bounced back up. 36.1% of all listening is via a digital device, with slightly more digital listening happening amongst BBC service than commercial ones. The bulk of that listening – 23.4% – is via DAB. Again, next time someone tells you that DAB is failing, you can point out that nearly one in every four hours of radio listened to in the UK is via that platform. And 57% of all radio listeners in the UK listen to at least some digital radio every week. That’s another figure too few people are aware of. Again, by far the biggest platform is DAB (37% of the UK adult population). Finally, here are my regular bubble charts. Although they’re a bit more viewable on my blog than they used to be, I’d still recommend that you view them fullsize. Note that I’ve managed to reconfigure the charts so that they’re presented by default in the format that I think is most useful. But note too that there is much more data behind the London version of the charts than the national version. And be sure to read the full notes under each chart to determine what shortcuts or differences I’ve had to make. Either way, they’re fully interactive, so do have a play! The large version of the national bubble chart can be seen here. On a personal note, I should finally say in passing that this is likely to be the last RAJAR analysis I provide in quite this level of detail. I’m moving on to pastures new, and unless I get full access to a RAJAR data analysis tool, I’m not going to be able to provide quite this level of analysis in future. Instead I’ll have to make do with RAJAR summaries which limits what kind of insight I can provide. Source: RAJAR/Ipsos-MORI/RSMB, period ending 15 December 2013, Adults 15+.